In February's blog I talked about template design and introduced the terminology template and background. The backdrops is the backdrop behind people in the photos. 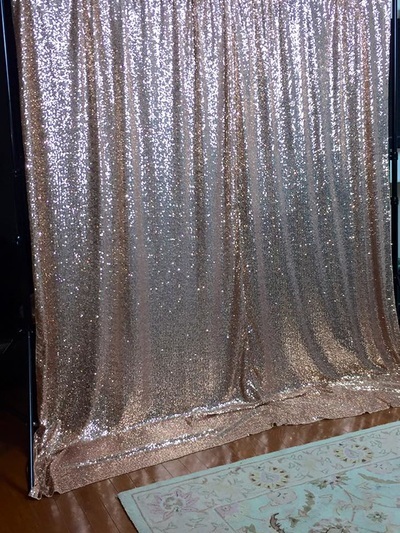 Backdrops are an important part of the entire photo booth experience. It enhances the template design. Backdrops are always reused for events. Prior to hiring a photo booth company you want to review their past events to take a look not only at the template design but the coordination of backdrops with the templates. Some companies just starting out may have a small supply of backdrops. There is nothing wrong with that but you want to make sure what they do have available looks high quality in pictures. 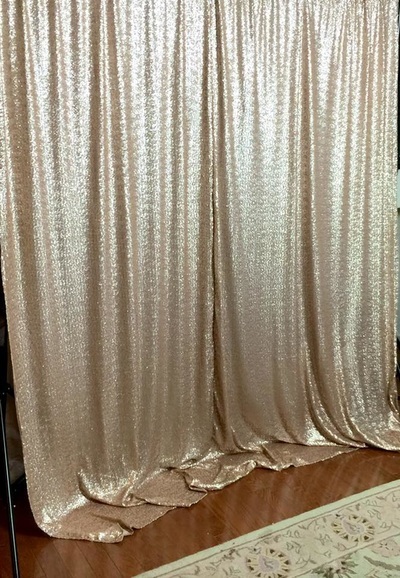 They should look like beautiful backdrops not sheets, table cloths or even raw material just thrown in the back. 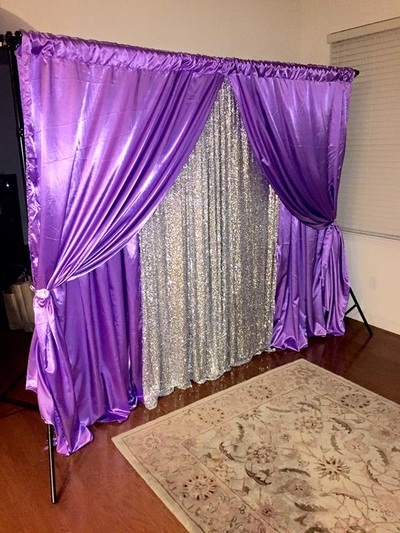 I recently read a review of another photo booth company that the client asked for a pink background and instead got purple. This can be pretty disappointing and by the time your event has started it's too late and you accept that you aren't getting what you want. There is a bid difference in color and if your entire party is planned around a color it's important that the backdrop is what you want and asked for. My point is that you may see reviews that are all high rating but one or two low ratings you should read those as those will provide a lot of insight and may actually change your mind on using that particular company. 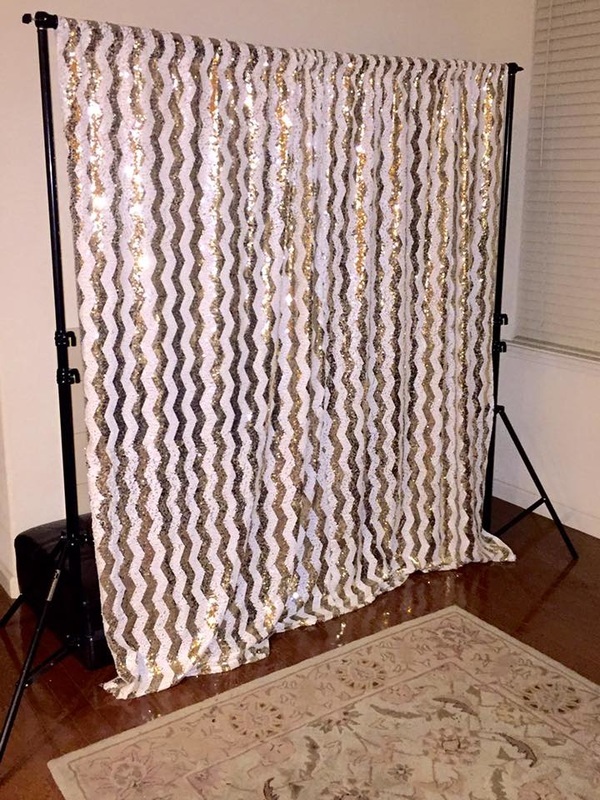 Most photo booth companies don't have a store front so all your communication is done over the phone, email and text messages. We often meet clients at a nearby Starbucks. This allows us to meet face to face discuss their overall concerns and look at backdrops. 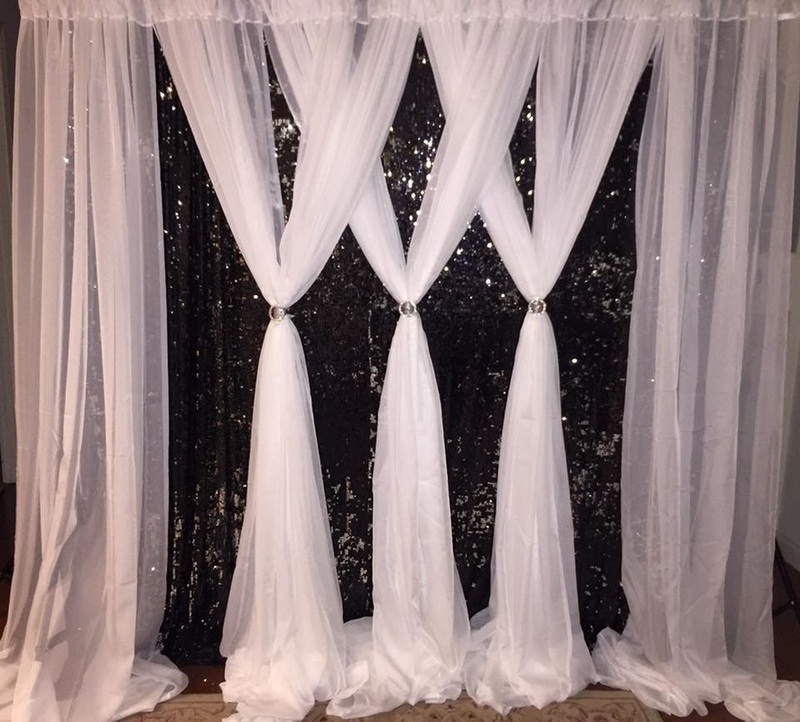 I am happy to bring backdrops to look at and let them pick out what they want. We have an abundance of velvet backdrops, sequins and satin backdrops in an array of colors. Each photo booth company is likely to have a go to backdrop they use. Something that is versatile and matches any template design. You are likely to see that in their past events the most common backdrop they use. If you don't like that backdrop or think that it's not high end you may want to rethink that vendor because this is likely the backdrop you will get. The combination of a creative template, beautiful backdrop and great lighting your photos will look amazing. 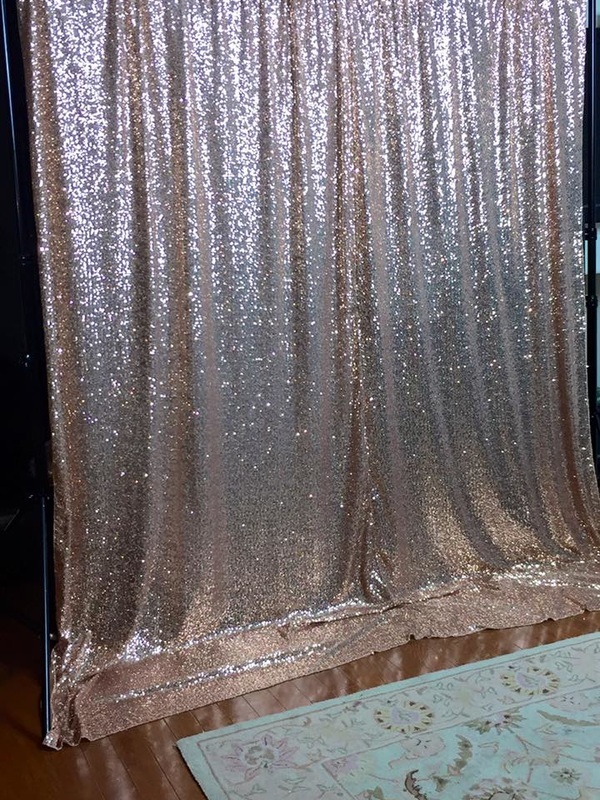 We often here at events wow this backdrop is beautiful before we are even ready to start people are taking selfies in front of our backdrop. The next comment is wow I look flawless under this lighting I wish I had this lighting at home. 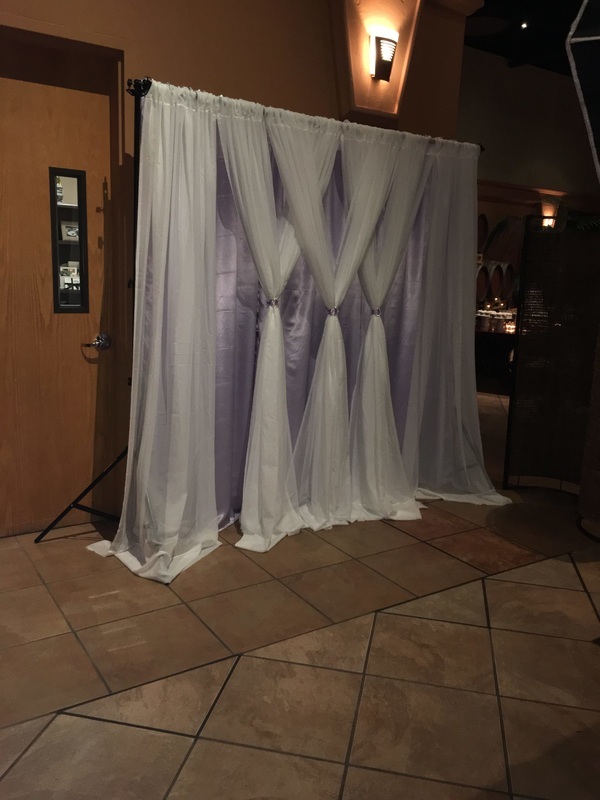 Your template design is going to make or break your photo booth experience. 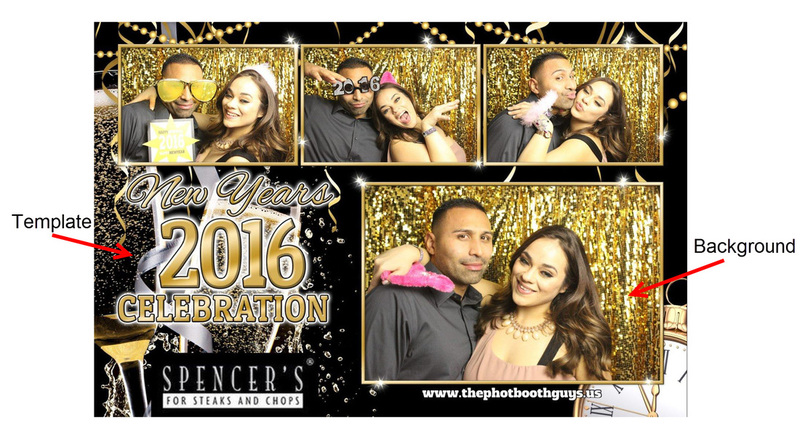 Before you commit to any photo booth company you should review their pictures to see what their templates look like. You want to look over as many events as possible. You want to make sure that the company is not reusing the same templates over and over again. The layouts will always be the same standard layouts what I am referring to is the graphics on your prints. See below example print. Recently I saw one photo booth company use the exact same template three days in a row. There is nothing wrong with recycling templates but you make tweaks to them to make them unique to that customer. In this case this particular vendor used the same template for three different clients, back to back events. This is what I call lazy and not providing quality service to their customers. In addition to looking over past events you should make sure before you choose a vendor that they commit to sending you sample templates before your event to review and approve. You want to make sure you approve the template design and the text. In some cases you may even want to change the layout of the pictures. I typically contacts customer one month prior to their event to finalize. At the latest 2 weeks prior to their event which gives them plenty of time to review and for us to go back and forth to make the appropriate revision. I always tell customers my samples are a starting place for us to have a discussion of what you like and don't like. Don't worry about hurting my feelings if you don't like what I provided to you. You should be excited and happy when you see your template design and feel like it totally represents your party. When looking at photo booth companies do not look at the quantity of events a company has done over a weekend. Some companies may handle as many as 10 events in a weekend while others may handle 1 or 2 events per weekend. The number of events a company can handle in a given weekend should not determine if you should hire one company over another. We highly recommend you look at the quality. Here's what you should be looking for. Quality in the photos ~ Are the photos clear is the lighting consistent? Quality template ~ The template design should be unique for each event. You may see similar photo layouts but the overall look and feel should be different. You shouldn't see the same template used with just slightly different colors and names. Quality in the setup ~ Do they look professional, do they look like a legitimate company? Does the setup look like a bargain basement setup or do they look like they have taken the time to represent themselves as professional as possible? Quality customer service ~ Are their attendants professional? Do they dress professional? Are they always available to serve you and your guest? You may not know this information but you can always ask for referrals and read the reviews and see what other customers are saying. Finally, someone who is doing many events in a single day is not paying attention to the details. The quality of the work is lower and the quality of service is harder to maintain. Even though we are a small family operated business all of our employees (husband, son, brother, niece and nephew) are all owners and operators. They are fully invested in our brand and the quality of service we provide. Each event is special to us and no matter what event we attend from a back yard BBQ, wedding or corporate event we are always in uniform and ready to serve you.